Lake Street Church. The Interfaith Action opens emergency overnight shelters when the temperature drops below 20 degrees. With temperatures now typically dropping into the 20s at night, Interfaith Action of Evanston has opened their shelters twice so far this year. In an effort to better serve the community, these emergency overnight shelters open when the temperature dips below 20 degrees, an increase from 15 degrees last year, executive director Sue Murphy said. Murphy said the Interfaith Action has a network of six churches and synagogues that alternate hosting these shelters for a two week interval. Interfaith Action works with “diverse faith communities and individuals seeking to address the systemic issues of poverty, unemployment, homelessness, and hunger,” according to the organization’s website. Murphy said Interfaith Action has a network of six churches and synagogues that alternate hosting these shelters for two week intervals. These spaces open at 9 p.m., at which time about 27 cots are available for those who need a roof. She said volunteers come at 8 p.m. to help prepare these spaces, provide warm drinks and blankets and talk with the people who use the shelter. Murphy said the doors are locked at 10 p.m. in order to provide the people inside with some security. Joey Rodger, a board member of Interfaith Action, emphasized the importance of having a safe place, especially through the colder months. Next year Interfaith Action intends to have an emergency shelter open every night, Murphy said. “Nobody should have to sleep outside ever but certainly not in the winter, so we are really excited to be able to be open all next winter,” Murphy said. Murphy said when she first began working with Interfaith Action, there were no emergency shelters. Now, 23 people on average utilize the space when open. She said when the shelters close in the mornings, inhabitants are welcomed to a “hospitality center” in St. Marks Church – 1509 Ridge Avenue – for breakfast, which is open year round. The success of the centers relies on volunteers to staff these shelters, Murphy said. She encouraged anyone interested in lending a hand to email her. Volunteers are asked to complete a training session so they are better equipped to help, Murphy said. 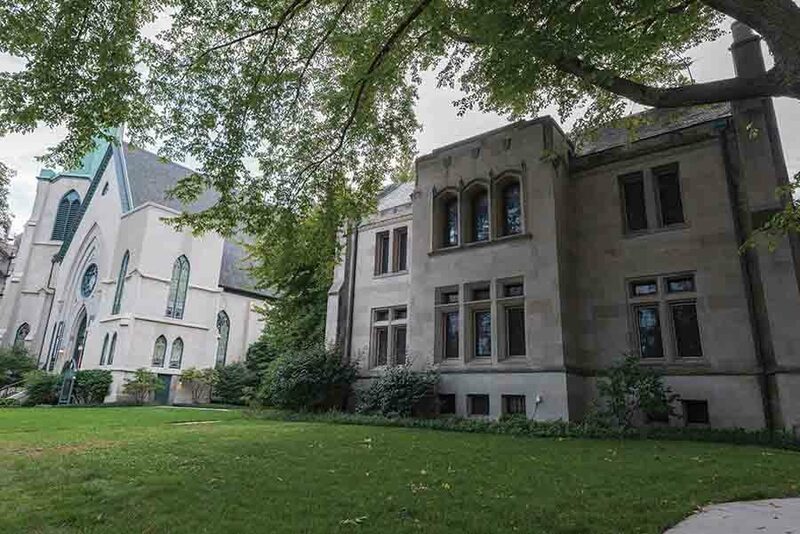 “A lot of people don’t realize there are homeless people in Evanston… the faith community has really stepped up to offer this warm and safe space,” Murphy said.